Matt's played great. He's got a lot of tools: good speed, good size and a strong, level head. 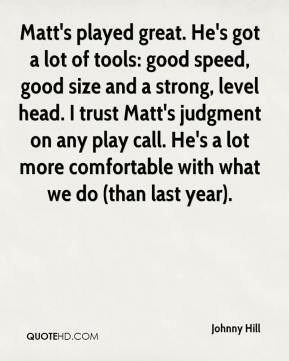 I trust Matt's judgment on any play call. He's a lot more comfortable with what we do (than last year). 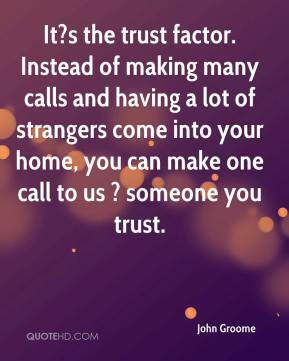 It?s the trust factor. Instead of making many calls and having a lot of strangers come into your home, you can make one call to us ? 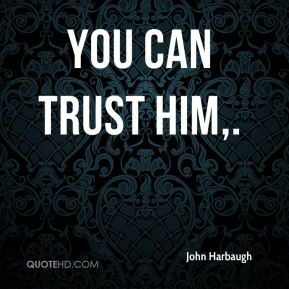 someone you trust. 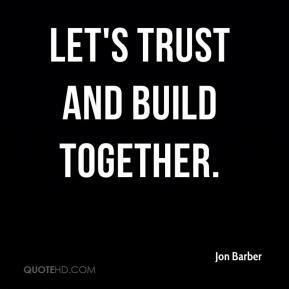 Let's trust and build together. 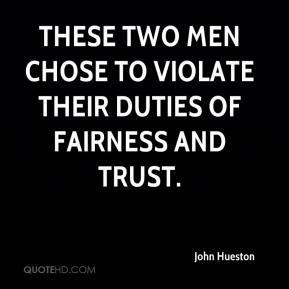 These two men chose to violate their duties of fairness and trust. 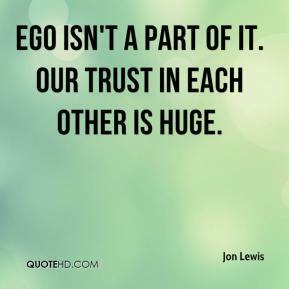 Ego isn't a part of it. 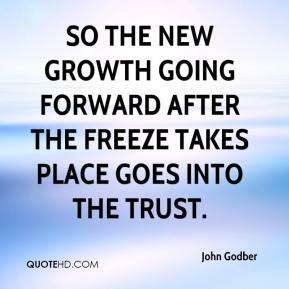 Our trust in each other is huge. 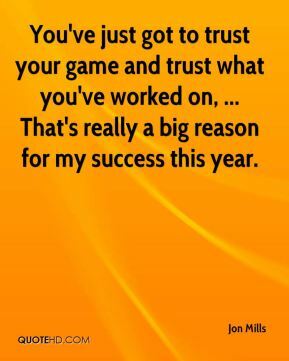 You've just got to trust your game and trust what you've worked on, ... That's really a big reason for my success this year. 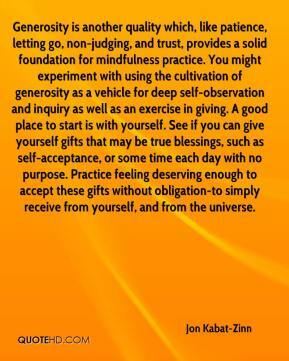 It's a timing thing, a trust thing. That he'll put it in the right area and that I'll catch it. 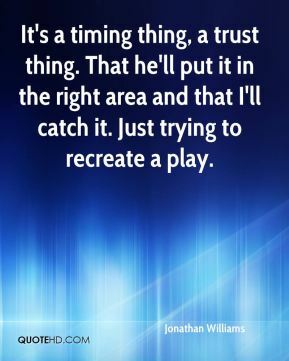 Just trying to recreate a play. The interaction I've had with the board is very positive, and at first glance, I have trust that they'll take a look at the situation and handle it how it should be handled.